Our vision of Urban Art Fair on a smaller scale will continue with the 14th BERLINER LISTE, under the expertly eye of Guillaume Trotin. The curator for the Urban Art Section 2016 and the driving force behind Berlin’s renowned OPEN WALLS Gallery, Trotin will be in charge of bringing the most exciting aspects of the Urban Art movement to our audience, through a careful selection and support to both emerging and young artists and well-versed names of the scene. What moves our curator is his passion for public art, the art that made Berlin an attractive art center for various collectors and creatives. The most appealing feature of this section is its authentic and democratic nature that embraces everyone interested in street art. The section will host acclaimed galleries, aspiring talents, open-minded art lovers, aesthetes, experts, and amateurs, gathering them in a special interactive playground. The global transformation of the art market made the establishment of the Urban Art section at the largest art fair in Berlin a logical and welcome move, while the inspirational guidance of our expert art curator will provide a unique opportunity for those who want to make a career in Urban Art. We aim to ignite the Urban Art conversation on a small scale and watch it spread across the public realm and the art market alike, as the barriers of the elitist views break and more and more people are welcomed to the world of art. 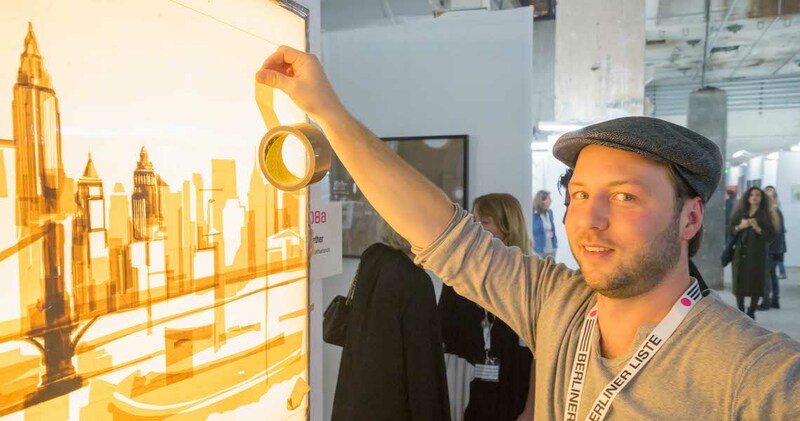 Did you know: You might have been able to find original piece of Street Art in a gallery, but now you can have them in your own home thanks to the Urban Art fair section at the BERLINER LISTE! Urban Art fair section is the result of a long and turbulent journey this movement had, leaving the street corners, subway trains, car parks, old factories and entering galleries, living rooms, and offices. Technological revolution brought together artists and ideas from all around the world, while methods of expression changed with the means of communication. It’s a fact that different social networks, from Twitter and Facebook to Instagram have greatly contributed to spreading the word about the Urban Art movement, thus educating the masses about the latest achievements in the world of Public Art. In this virtual world, where everything is literally one click away, the distance from an artwork became irrelevant, while sharing inspirations and experiences became a globally recognized trend. Today, there are more options, more tools, better connections, more effective transmissions of ideas, while the contemporary art scene continuously grows. BERLINER LISTE saw the potential in this worldwide expansion of the arts, and the opportunity to promote and support new expressions and artists, bringing them closer to the viewer. Urban imagery will mix with singular artistic expressions, harmonized in particular forms of urban language, codes, and styles, while each of the artists uses a different method of expression. At our Urban Art Section, visitors will have the opportunity to find original works and to meet international and local artists directly. We look forward to mediating this search for the perfect piece, among the selection of collages, silkscreen prints, stencils, and drawings presented at the fair. For almost 40 years, the term Urban Art has been used in international contemporary art dictionaries, applied to signify the phenomena of Street Art and Graffiti. Born in the streets of New York, Paris, London, and Berlin, this movement has taken the world by the storm and quickly spread across the seas, evolving into a plethora of forms. Today, in 2017, we do not refer to the Urban Art movement in terms of outdoors art only. Growing far beyond the art of graffiti and surpassing the wall-art of murals, this movement is considered one of the most dynamic and continuously growing artistic expressions of our time. As such, it encompasses both work and actions in the street, as well as a number of studio practices and creations meant to be exhibited in galleries or museums. The creativity pertinent to the Urban Art realm maintains its spontaneity and charm, variations of which we can usually encounter at a typical Urban Art fair. Urban Art can also serve as inspiration for designs of many creative album covers, vinyl sleeves, comic books, graphic novels and modern apparel. The movement revolutionized the affordability and outreach of contemporary art, due to the attention and cultural recognition it won. It also changed the anthropological instances, united high-end galleries, and collectors with self-taught and free-spirited artists who shared the interest for this kind of visual arts. Looking back at the time when Urban Art was done in secrecy as a part of different underground alternative subcultures, often correlated with hip-hop, punk music, and vandalism, we witness the change in trends and perception of this authentic expression. many of us changed the way they perceived various public interventions. The importance and number of public interventions continue to grow, as we see paste-ups peel and tear, tags appear and vanish under new labels, stencils evolve into a masterly technique in its own right. Very much alive, this global movement is subject to lively discussion, seasoned with numerous Urban Art festivals organized around the world. 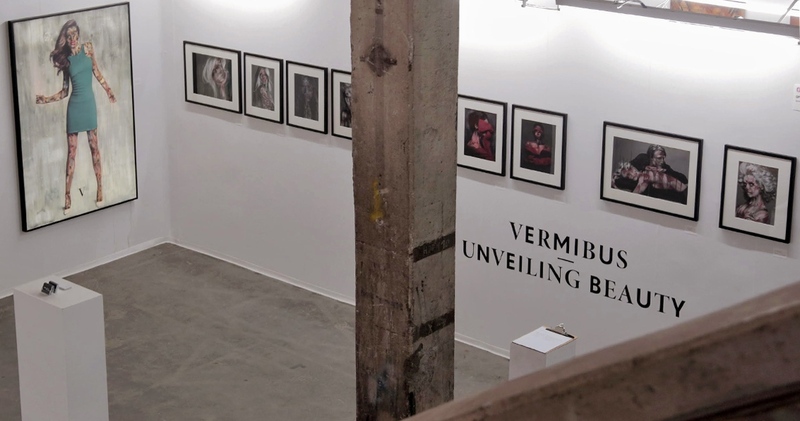 The 14th BERLINER LISTE continues the newly established practice of an Urban Art Fair in a section dedicated to cutting-edge artists, Street Art lovers, and everyone else who appreciate and share the love for the adrenaline-infused artwork. At BERLINER LISTE, we understand the impact of the Urban Art movement and support its philosophy of freedom, socio-economical equality, and cultural diversity. At the same time, we open our doors to talents who might not have had a chance to attend art schools but do create wonderful work. Urban Art may not be a classical movement, it may not have one specific goal or a common manifesto, but it can be seen as the embodiment of postmodern art phenomenon, where the lack of definitions and openness to variety creates a universe where each artist can feel free and encouraged to create. Defining Urban Art is therefore an almost impossible task. Inherently, it is the type of art related to the city and to the urban environment, but in terms of techniques, we can find a superfluity of forms – there is Graffiti, Stencil art, old-school tags, lettering and typography, paste-ups, installations and many other interventions in the public space. Some of the artists even defy the term urban and paint large murals in rural areas. Many contemporary art galleries have recognized the importance of this movement and choose to exhibit its representatives. What was once considered vandalism, low-fi art and a primitive form of expression has grown much in the past decades, developing into one of the most interesting, lively and democratic art movements today.